This 67 Camaro belonged to our Uncle, Leon Pugh since the mid 70's. 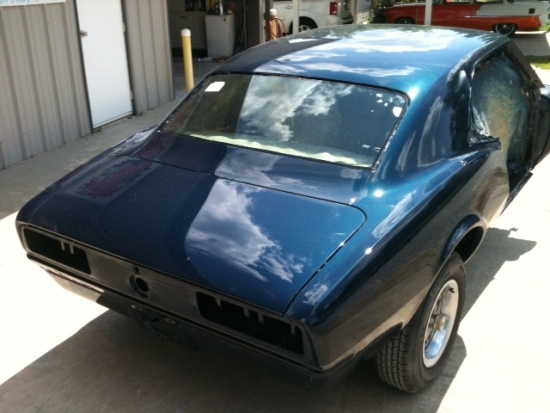 It was originally a Butter Nut Yellow, 6 cyl, 3 spd car with a 10 bolt rear, & black deluxe interior! 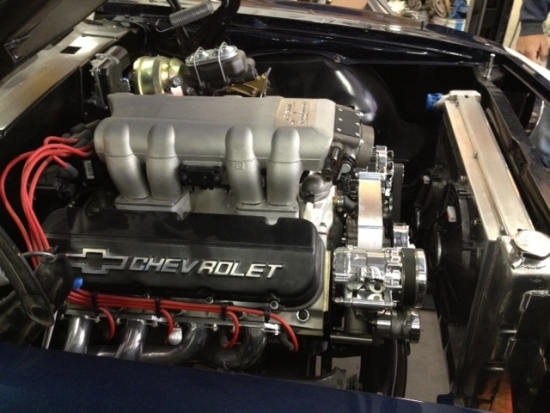 When Jason bought it back in 2010, its had hardly any interior a 350 engine, the factory 3 speed, and it was very rough so he wanted to restore it. 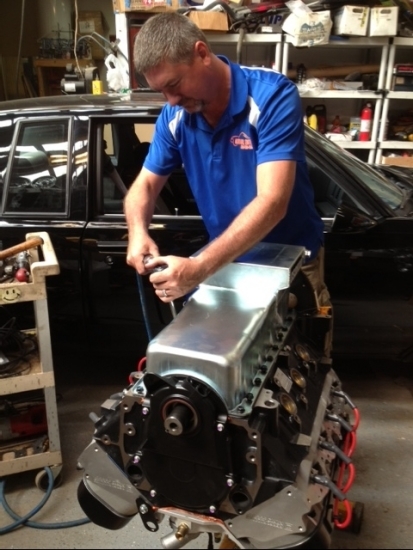 After thinking about several different ways to build it, he decided to build a "Yenko Tribute" Not too many 67 Yenko Camaro's around. 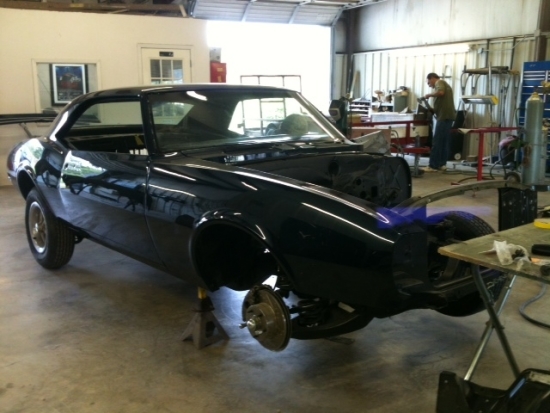 Everything was stripped and soda blasted to find the rough spots...which turned out to be the whole car!! 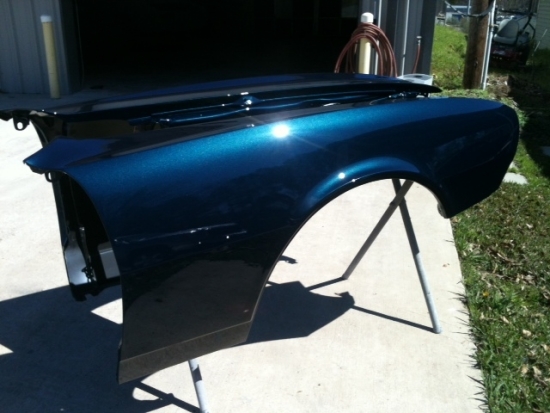 All new body panels and sheetmetal was bought from Firewheel Classics out of Dallas TX. 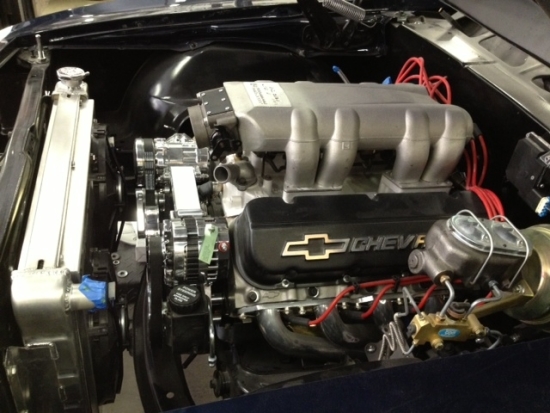 Plans of a Resto-Mod (Power Tour) Camaro include a nice Ram Jet 502 Big Block, a TKO 500 5 spd, a 12 bolt 3:73 rear, Hotchkis front and rear suspension, 4 wheel discs, Vintage Air, and some nice Vintage Wheel Works V45's to set the stance. American Autowire complete wiring harness, Sub-frame connectors, and much more. The interior will be back to factory specs with Black Deluxe, and the exterior will be a shade darker Tahoe Turquose, white nose stripe and factory SS badging with Yenko signia. 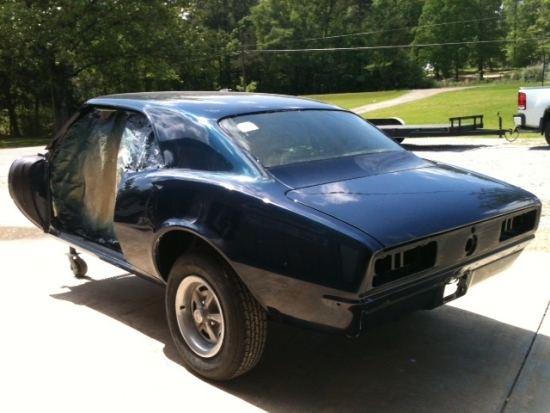 It is currently in the body shop getting paint. Why did I restore a 6 cyl rust bucket?! I just couldnt find the perfect car I wanted. So I built the one I want...and I wont do it again!! New Panels included Roof, Floors, Full Trunk pan, Both quarter panels, Door Shells, Fenders with extensions, cowl panels (all of them), inner and outer wheel wells, Front fender wells, New Radiator support, Rear tail panel, upper rear window panel, trunk lid, fiberglass Yenko hood, upper dash panel, ect..
Now that its painted, we sent it to TJ & Hollys Rod Shop in Brandon MS for its complition and so far so good. 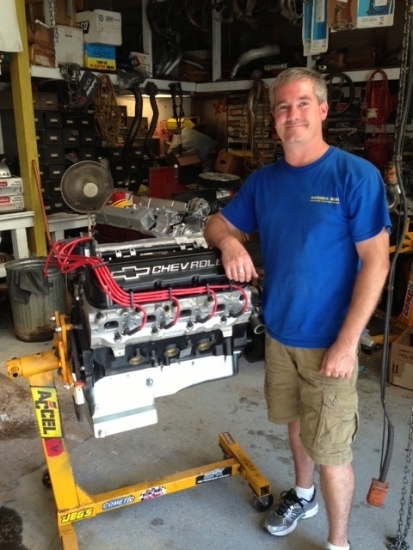 The new Ram Jet 502 is now in place, after we changed the stock cam and rockers with all new Comp Cams parts.